Hotel Reservations Cutoff Date at Meeting Rate has EXPIRED. 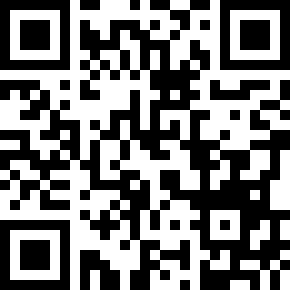 Download the Guidebook App on your iPhone, Google or Android device using the QR code below, or go to http://guidebook.com/browse/ on your web-enabled device. 'Scan' the QR code below to view this TWD 2015 Program Directors' Meeting guidebook program on your mobile device. Please be patient as TWD 2015 guidebook is generated and downloaded to your device. There are several reasons why you may not be able to open or print online PDF files, especially if it is a large PDF file, and/or if you use slower, Internet access or you are using an older version of Adobe Acrobat Reader software. To view/open the PDF file click the PDF icon or link. Right click on the link to the PDF file. Do NOT open it at this time. Choose "Save Target As..." from the pull-down menu. (Note: if you are using a Mac instead of a PC, choose "download to disk") The "Save As" window will appear. Note: It may take the "Save As" window awhile to appear if you are downloading a large PDF file or are using dial-up Internet access. In the "Save In" box at the top, select a location to save the file on your computer that will be easy for you to remember. Your desktop or My Documents are the two most common locations. Click on "Save". The PDF file will now download to your computer. After the download process is finished, navigate to the location where you saved the file and double click on it to open it. You should be able to open and print the file from this location without any problem. Anthony DePass, Ph.D., Long Island Univ. Lisa Linnenbrink-Garcia, Ph.D., Michigan State Univ. (concurrent session) Advising and Training for Career Paths after the Ph.D.
9:00A – 10:00A What’s Now in TWD?